This chicken casserole tops my list of all time favorites. 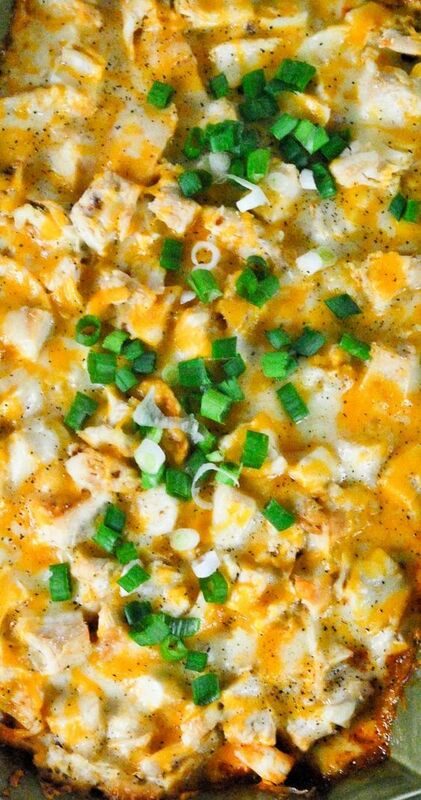 Imagine a thick layer of a delicious, sweet corn pudding topped with yummy chicken, a little sauce, and lots of gooey melted cheese. 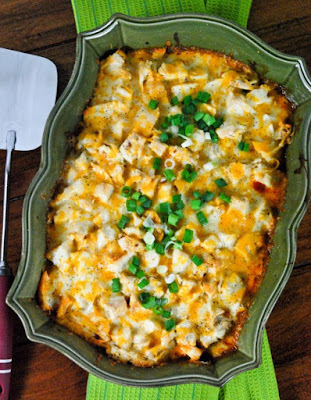 It’s all the best elements of chicken tamales in an easy to put together casserole. Well, can you say, “hello dinner time home-run!” The fam doesn’t simply like this, they love it and absolutely devour it! I usually make this with a rotisserie chicken from the market. I love how flavorful the meat is and it cuts down my prep time significantly. Another way to speed up the prep time is to use a Mexican blend of pre-shredded cheese. So, all in all, this family fav is also a snap to get on the dinner table, too! Win-Win! Preheat oven to 400°. Spray a 13 x 9- inch baking dish with nonstick cooking spray. Combine 1/4 cup cheese and next 6 ingredients (through chiles) in a large bowl, stirring just until moist. Pour mixture into prepared baking dish. 0 Response to "CHICKEN TAMALE CASSEROLE"